BioCeuticals is a leading Australian integrated healthcare provider. Renowned for their high quality integrative medicines and diagnostics, BioCeuticals has experienced strong year-on-year growth. Realising the trend might not always continue, BioCeuticals leadership recognised the need to innovate beyond their product, and revitalise their growth strategy through customer experience. The BioCeuticals transformation would have a major impact on the entire business, so we set about creating the most comprehensive roadmap to align and bring all stakeholders along on the journey together.  Our ‘thick data’ approach created a more nuanced view, necessitating a new attribution model for their customers chain - fundamentally changing the view of the business on where value and revenue was created. Our commercial strategy sought to address the large shifts occurring from Complementary to Integrative Medicine, informing how BioCeuticals can to stay ahead of the curve. We treated the Digital Ecosystem as a product in its own right, providing a framework for ongoing success. To future proof the experience we developed a digital product that can withstand a 10 year development gap. Interested in finding out more about this case study or how we would apply learnings to your business, please get in touch.